Every day as you are bombarded by the social media reel of your friends and family, it is easy to wonder how they can afford it all. The vacations and new cars that are plastered all over their Instagram and Facebook pages can make you scratch your head. The social media highlights never have a post about a missed mortgage payment or massive credit card debt, but that is as common as the new necklace that your cousin is showing off on Snapchat. 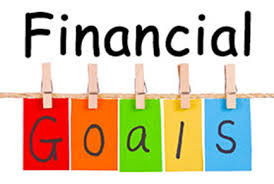 If you follow a few or all of these financial goals you may find yourself on the way to financial health and freedom from debt in 2018. Emergency Fund - Start with putting $500 in an emergency fund. Continue to add to this savings until you have three to six months of basic expenses secured in case of an emergency or job loss. Write It Down- Every month, write down every single dollar you spend. Rent, utilities, vehicle expenses, eating out, online shopping and entertainment as well as other spending categories. Every dollar that goes out of your wallet needs to be accounted for. You can do this in a notebook that you carry with you or use a budgeting app on your smart phone. Seeing where each dollar is spent will make you aware of where your money is going and where your budgeting deficiencies can be found. Once you realize where your excess spending is you can begin to change those spending habits. Create A Budget - When creating your budget make it realistic and one you can follow. Hopefully you can find some room in your budget to save for a trip or luxury item you have been wanting. Save For Retirement- Setting aside 10 to 15 percent of your pretax income is the goal however if you cannot afford that right now don’t wait. According to financial author Emily Guy Birken, if you can only save 1 or 2 percent of your income for retirement, then do that for now. Increase it as you get used to having less in your paycheck or if you get a raise. Personal IRA accounts and 401K employer plans are good ways to save for retirement.